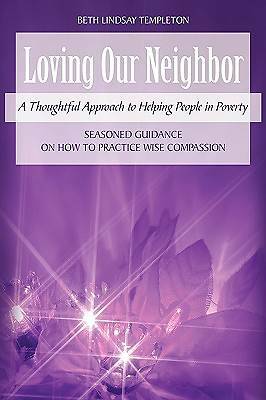 Loving Our Neighbor provides practical advice for churches, businesses, civic organizations, school groups, and individuals who need seasoned guidance in making wise and compassionate decisions when approached for financial donations. Beth Templeton is a minister who clearly understands both the heart of the charitable organization and the need for focus and planning when it comes to helping those in need. She relies on twenty-five years of experience as a nonprofit executive at United Ministries to: -Provide an understanding of the Biblical call to help -Assist others in comprehending a life of poverty -Advise the different ways to aid those battling financial hardship -Illustrate how to organize a direct ministry for a church -Facilitate others in gaining a deeper understanding of the social and economic conditions that lead to poverty Templeton shares fresh insights, thought-provoking lessons, and timeless wisdom that exemplify an organized and compassionate process that includes various approaches designed to help others decide how, when, and whom to help in times of need. Loving Our Neighbor encourages building relationships with those who can benefit from assistance, ultimately enriching their lives in countless ways.